It sure has been awhile. Between classes, work, a new home, and more work, the weekend camping trips haven’t been as regular as they were in the past. Besides, Phoenix is just getting downright hot (although USA Today recently put together a great list of places to try to escape the furnace). Well, it’s time to make up for it. Over the months of June and July we will be travelling to a number of destinations throughout Arizona, Utah, and Colorado that have been on our bucket list for quite some time. We’ll begin to post our reviews after our trip, likely late July and into early August. There are also quite a few old California destinations that we will be updating and adding from last year. Make sure to keep up with us on Instagram, at @tenttalk (you can see the photos online as well at instagram.com/tenttalk), like us on Facebook, and follow us on Twitter. This is going to be a summer to remember! A cement truck barrels by our campsite at Goose Island, Moab, UT. P.S. 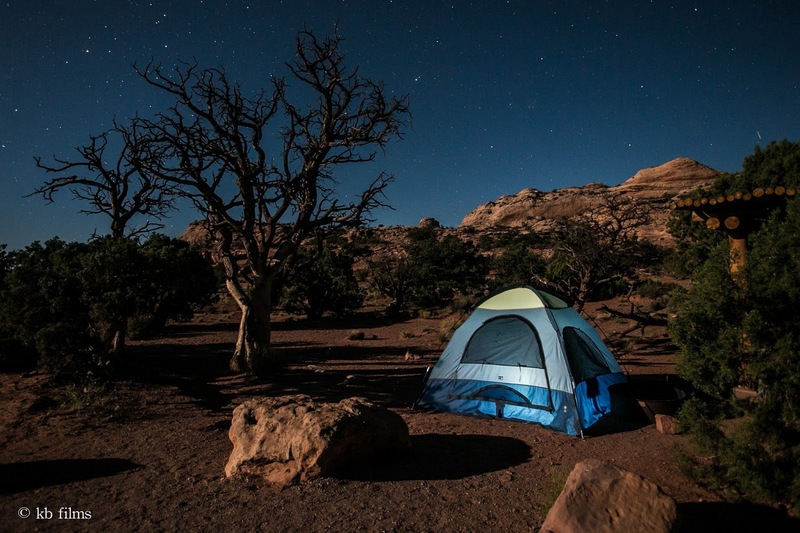 – We’d love it if you checked out our “Moon-Lit Camping” photo at Outdoor Photographer’s your favorite places contest, and the Official Federal Recreation Lands 2013 Photo Contest, Share the Experience. An excellent article, really appreciated the link to the Havasupai Campground at the end of the article.